Tempered Glass is formed by heating glass to the softening point in a horizontal tempering stove and then quickly cooling it with cold air. This technique resists compressive stress on the surface and tensile stress inside which provides bending/shock resistance. 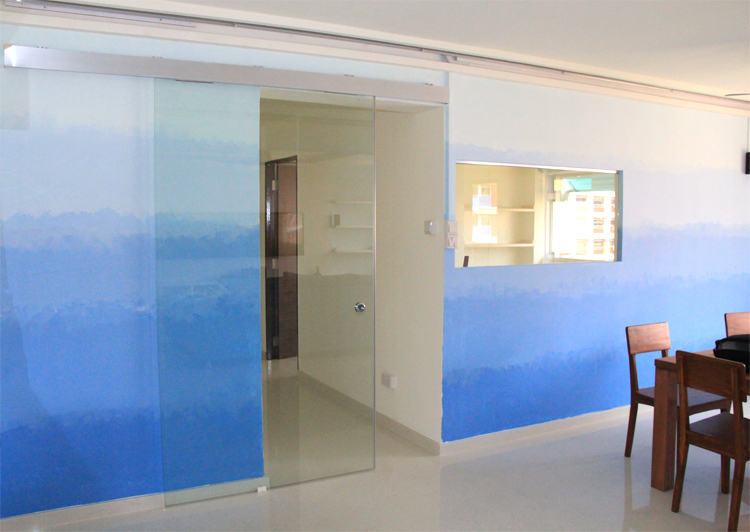 Tempered glass door including clear tempered glass, tinted tempered glass, frosted and acid-etched tempered glass. 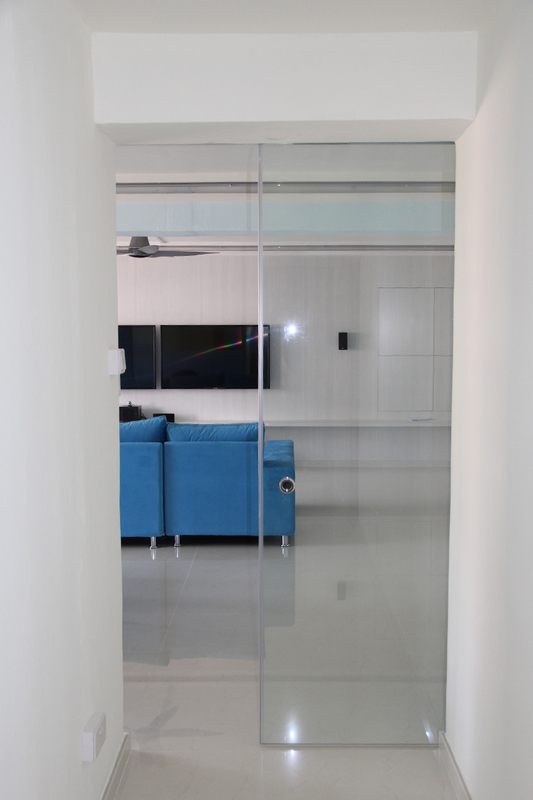 More opportunity for large areas of glazing without substituting your safety, including frameless designs such as doors, showers screens, table tops and so on. The mechanical strength of tempered glass is as 3-5 times powerful as normal annealing glass, bending strength is as 2-5 times powerful as normal flat glass. The excursion of temperature that tempered glass endures is 250-320 degree. Once tempered, cannot be cut down or drilling hole. 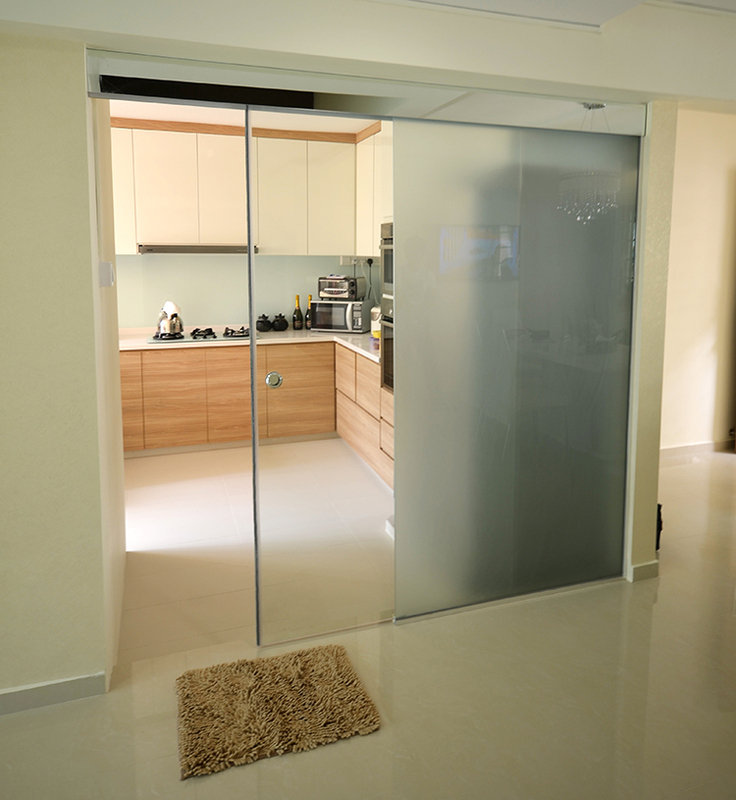 A swing door can be installed via hinges to allow the door swing from the doorway in one way but not in other way. These door normally used at kitchen, office and toilet. 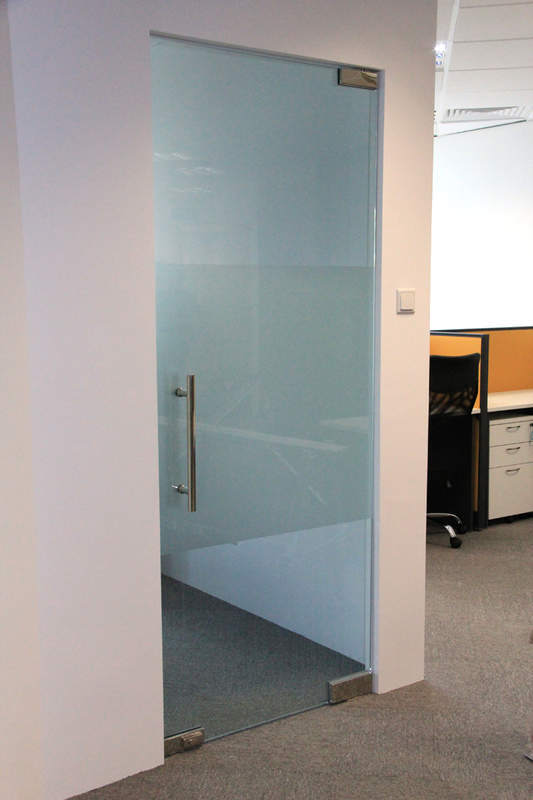 This glass hinged door fit for 8-12mm thickness glass. 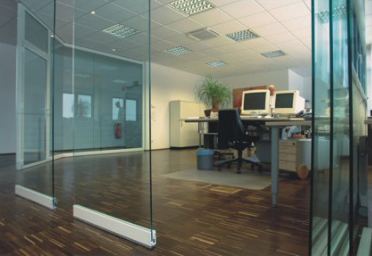 We also supply for clear tempered glass, tinted tempered glass such as euro grey and bronze, frosted tempered glass and acid-etched tempered glass and spray paint tempered glass. 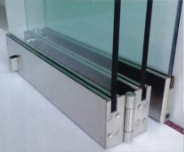 Among the required accessories are glass door hinges, glass door lock set, stopper and glass door handles. Door hinges used are made up of stainless steel material. All these accessories and parts are anti-rust components and engineered for durability. The roller is fitting for the glass thickness of 10-12mm. 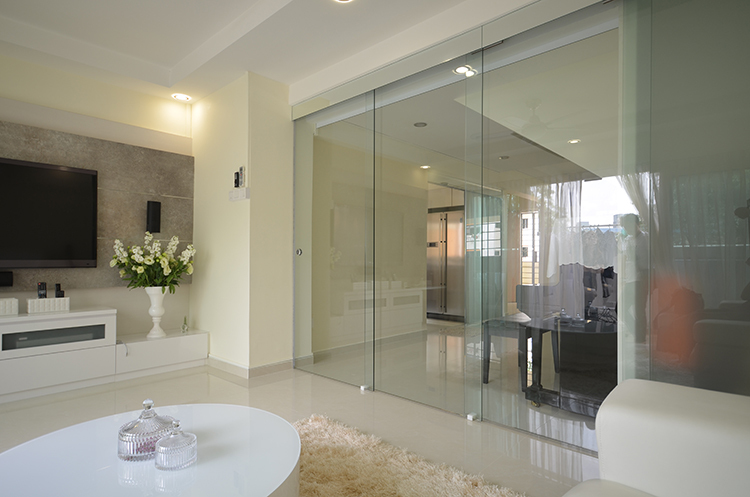 Several type of glass which is clear tempered glass, tinted tempered glass such as euro grey and bronze colour, frosted tempered glass and acid-etched tempered glass. The maximum weight per door leaf: 100KG. 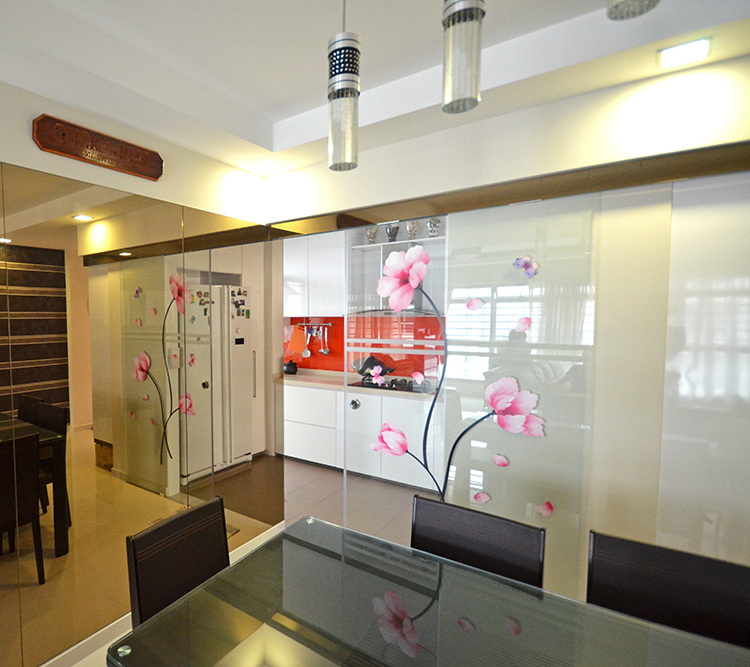 Beautiful and fashionable outlook the best choice for home and office fitment. Clear Tempered Glass with frosted sticker. 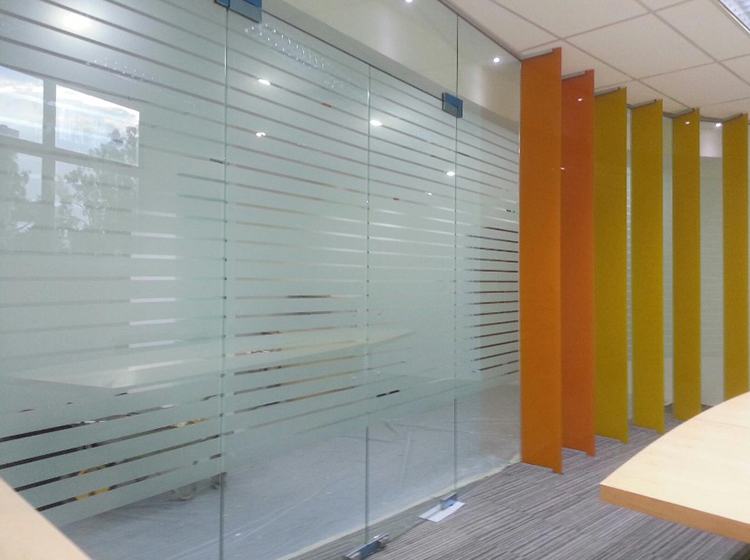 Shop front glass is widely used in commercial areas especially for shop houses and office. The top and bottom patch is fitting for the glass thickness of 10-12mm. 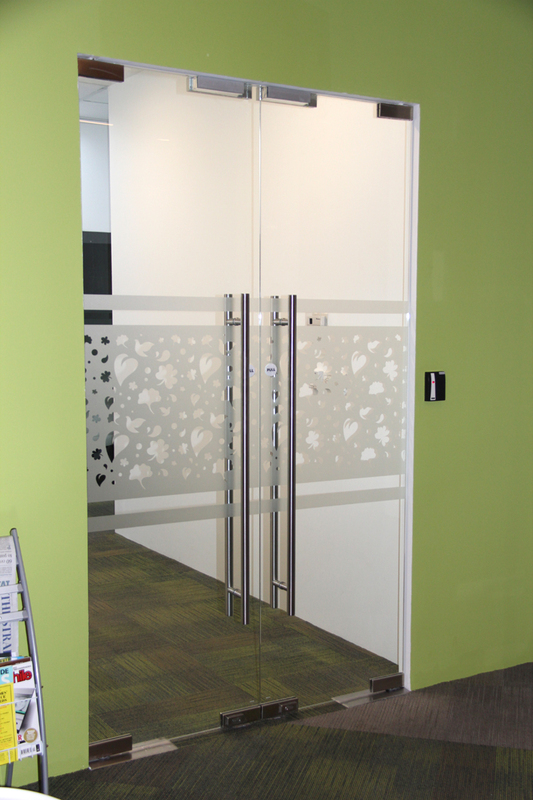 This door also available in clear tempered glass, tinted tempered glass such as euro grey and bronze colour, frosted tempered glass and acid-etched tempered glass. The design is an aluminum track and hanger system which transports frame less glass panels and aluminum framed doors through 45º, 90º and 135º switching. 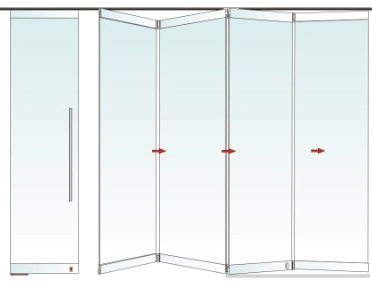 This system can be used for closing off areas by folding or stacking tempered glass. The Stack door System is unique, offering the ability to slide or stack panels of up to 500 kg in weight with the ease of opening a car door. 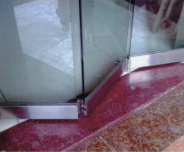 The other advantage of the Stack door System is that there is no requirement to use a floor guide or channel guide in the floor. Therefore the product is ideally suited for Shop Fronts, Hotels, Convention Centers, Corporate Offices and Private Homes.